Beginning February 7, 2019, Hillman Real Estate Group will be showing this beautiful Bella Casa five-bedroom home in Apex and we know it’s going to check all of your “must have” boxes and then some. At 2863 Lumber River Trail, you’ll find over $90,000 in upgrades and a rare three-car garage. It’s great if you have many drivers in your household or just a single collector who wants to keep everything out of the sun, snow, and other seasonal elements. Coming in from the garage you’ll notice a sweet “stash station” – complete with cubbies, hooks, and everything you need to get out the door in the morning but don’t want to become kitchen clutter when you return home for dinner. Speaking of dinner… the kitchen is fully loaded with chiffon cabinets, upgraded stainless appliances, working island, and a full pantry. Ideal for the at-home gourmet cook and holiday entertainer alike! A gorgeous sunroom offers that ideal flexible space that everyone wants which can be used for any purpose you have in mind but there are also dedicated spaces for your home office/formal living room and dining room, too. On the main floor, take advantage of the sizable main floor guest suite and upstairs, you’ll enjoy a master suite with lots of luxe features like a sitting room, lovely tile, and even a walk-in closet to swoon over. Cool Feature Alert: Wrought iron railings accent a catwalk overlooking the two-story family room with built-ins! The popular Azalea floor plan by homebuilder Lennar has been a real crowd-favorite in recent years and we know you’re going to be head over heels for this home at the first visit. We love that this home has a fully-fenced yard and an oversized deck ready for you to start using on move-in day! No matter who you’re enjoying time with – kids and their friends, dogs that like to run and play fetch, or hosting friends for a backyard cookout – this space is made for everyone to gather. The Bella Casa neighborhood is located in the heart of Apex, offering convenient access to neighboring RTP, Cary, and even Downtown Raleigh. 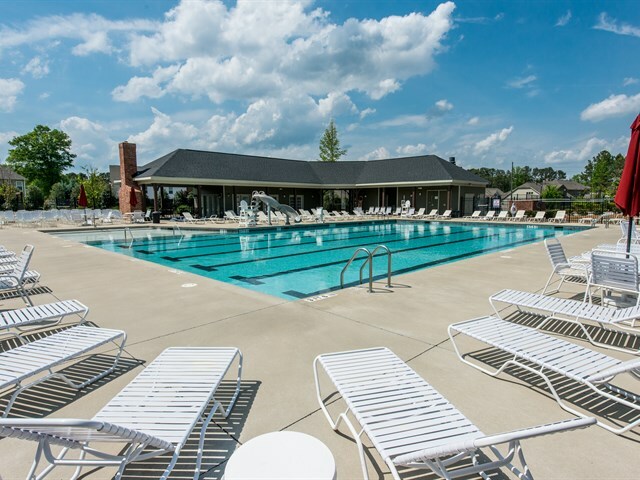 HOA dues remain reasonable at $200/quarter and include access to the community clubhouse, three fantastic pools during the summer, and a tennis court. Just around the corner enjoy some outdoor time at Evans Road Park/Nature Park & Seymour Athletic Fields offering 160 acres of diverse use: playground, tennis courts, volleyball, soccer, disc golf, a dog park, and more. They even host music and movies in the park seasonally! We look forward to showing you around this home for sale and Bella Casa as a whole. Contact 919-868-4383 or Renee@HREGSells.com to schedule your showing.